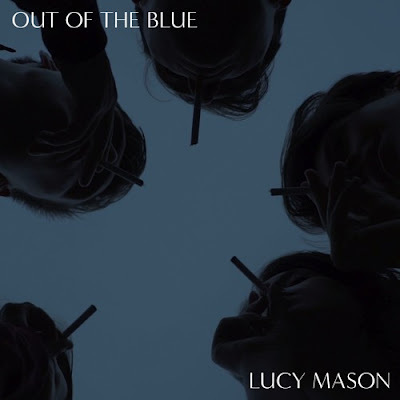 London-based Australian dream-pop artist Lucy Mason has just unveiled her dreamy new single Out Of the Blue. This is such a chilled piece of dreamy electronic-pop music and her vocals are super smooth and delicate. Out Of the Blue is quite an addictive track and it's an introspective piece of electronic music, reminiscing about old memories and how things have changed. The song oozes nostalgia and I'm a sucker for nostalgic songs. Stream this gem below! Over the years things can change dramatically in friendships. Some friends move away, some have their life turned upside down by illness or hardship and some even just disappear completely out of your life for no reason. Suddenly you realise how different things are, and wonder how and when that happened. Nostalgia can be heart-breaking but it’s essential for our appreciation of one another. ‘Out Of The Blue’ is about all that change but it’s also about the best memories you have together. I spent a lot of last year thinking about when I was growing up and I found myself as what I can only describe as falling in love with old memories & stories that I'd forgotten all about. When so much had changed, I couldn't help remember what everything was like 'before' and when I started looking back, I couldn't stop. I really hope these songs take you back in time, whether it's back to old memories with best friends or back to your first heartbreak or cigarette. All these kinds of stories are tangled up in us somewhere no matter who we are or where we've come from & somehow in making these songs, they satisfied my feelings of nostalgia and made me happy but still somehow, remarkably sad. I called it Flashback Romance, as that's exactly what writing this album was for me. I dedicate this entire album to my friends - To those I met at high school in England, to the friends I do life with now and most importantly, to the friends I've lost.